Jennifer believes that every child deserves the opportunity and foundation that a great education provides, and she is dedicated to giving them this chance. As the founding Executive Director of the Community Education Alliance of West Philadelphia in 2003, Jennifer established an organization committed to changing the trajectory of children’s lives by offering a rich variety of school-based social service programs that work in tandem with the Belmont and Belmont Academy Charter (now known as Inquiry Charter School) schools. She grew the organization to a 2 million dollar operating budget and developed a plethora of holistic school-based programs including Family Support Services, Head Start, and Out-of-School time programming. Jennifer’s role was expanded to act as the Chief Executive Officer for both the Belmont and Belmont Academy Charter Schools in 2006. Jennifer manages a staff of over 130 employees and an operating budget of approximately 10 million. Jennifer graduated with a Bachelor’s in Labor and Industrial Relations from Penn State University in 1998. She went on to work in Human Resources and Investor Relations in the Financial Services industry prior to committing her career to the non-profit world. Claire entered the education field through Teach for America in 2000 after graduating with a BA from Smith College. After three years teaching kindergarten and first grade in rural South Louisiana, Claire moved to Philadelphia and joined the Community Education Alliance of West Philadelphia. CEAWP attracted Claire because the organization was opening a Head Start program. After working with students who had such a variety of early learning opportunities and seeing the impact a quality program could have, she was excited to work with students before they entered the traditional school to assist in closing the achievement gap. Originally hired as pre-kindergarten teacher, Claire quickly became the Director of Early Learning and in 2008, the Director of the Belmont Academy Charter School. After obtaining her masters from the University of Pennsylvania Graduate School of Education, she took over the role of Chief Academic Officer and Director of Belmont Charter School. As the Director of the Belmont Charter School, she supervised the curriculum, assessment, and instruction as well as the day-to-day operations of the building. In 2015, Claire moved to Inquiry Charter School where she currently serves as the Head of School in addition to her officer positions. Claire has a passion for students and their rights for a high quality education, she believes in the school and has committed her career to making sure that all students, no matter their backgrounds or needs, get this education. Chris joined Community Education Alliance after serving as the founding Executive Director of Beat the Streets Philadelphia, an organization that sponsors wrestling and mentoring programs and has been a long time partner with our after school programs. From this vantage point he was able to witness first hand the impact our schools have had on the lives of the students we support and the success they achieve following graduation from our middle school. The establishment of the Belmont Charter High School is something that he is extremely excited to support as a member of our network as this will allow him to be involved with the continued progress of our students through high school graduation and beyond. He remains very involved with supporting Beat the Streets Philadelphia which will only strengthen our connection with that organization and will continue to work with our dedicated after school staff to increase the impact we have on our students’ lives. Chris graduated from the University of Pennsylvania where he majored in Political Science and was a member of the wrestling team. Suzanne is originally from Iowa and came to education through Teach for America after graduating with her BA from the University of Washington. She started out in the School District of Philadelphia teaching 7th grade English. After a few years in the classroom, Suzanne joined the founding leadership team of one of the District’s first Renaissance Charter School conversions as the Director of Curriculum and Instruction–managing and coaching teachers. She later worked in Trenton, NJ at a local charter school in similar capacity and then served as a Reading Specialist for the New Jersey Department of Education, supporting struggling schools improve their Literacy programs. She holds a Masters in Public Administration from the University of Pennsylvania. With a passion for curriculum and teacher development, Suzanne joined the Belmont Family in the spring of 2016 as the Head of Academics. She was charged with overseeing the network curriculum and leading the Instructional Leadership Team. She transitioned into the Head of School role fully in the Summer of 2017. She believes deeply that a quality education is right, not a privilege, and is committed to our kids becoming on fire for their future and the possibilities that lie ahead for each and every student. Suzanne is grateful to be a member of the Belmont community and is thankful to have a dedicated team along side of her to ensure that every student reaches their full potential. Jeanne began working with children and families after graduating with a Bachelor of Science from Penn State in 1978. She worked in community based behavioral health managing a home supporting children and adults who were discharged from Pennhurst State School, an institution that was closed by the state due to incidents of abuse and neglect. In 1995 Jeanne completed her Master’s degree in Counseling Psychology with an emphasis in Family Therapy at Chestnut Hill College. Jeanne completed an intensive yearlong family therapy internship at Philadelphia Child Guidance located at Children’s Hospital of Philadelphia. After obtaining her master’s degree Jeanne was a social worker on the children’s unit at Horsham Clinic, a behavioral health hospital treating children, and then became a Behavioral Health Counselor at Green Tree School, an approved private school serving students from grade one to age twenty one with severe emotional disturbance. In 1999 Jeanne began working as a school social worker at Delaplaine McDaniel School, a Philadelphia School District school in Point Breeze. She worked there for three years supervising social work interns and managing the social worker at the Annex school. In December 2003 Jeanne brought her years of experience helping inner city youth and their families to Belmont Charter School, where she initially worked in a pilot program serving students who demonstrated serious behavioral challenges and then was made the Director of Family Support Services. Jeanne now manages 5 school social workers in the four schools of Belmont Charter Network where she and her team live the values of meeting families where they are, that all children can succeed and that it takes a village to raise a child. Karen began teaching Special Education students at Upsal School for the Blind in the Germantown section of Philadelphia after graduating from West Chester State College with a BS degree and Elementary Teaching Certification in 1978. In 1980 Karen began a Masters program and was awarded a Fellowship with Temple University while working at Woodhaven School in Northeast Philadelphia and working towards her special education certification. In the early 80’s Karen was employed by ACCESS, an agency that created and supported group homes for special needs adults. Karen has always respected the lives of the disabled and was energized by seeing them work towards their individual potential. Karen took a break from teaching for 15 years to raise her four children. She reentered teaching again in 1998 in East Stroudsburg, PA working once again with special education students with learning disabilities before moving with her family to the Philadelphia suburbs in 2000. In 2004 she accepted a position at Belmont Charter School, part of Community Education Alliance, as a special education self-contained classroom teacher. In 2006 Karen moved into the position of Special Education Director at Belmont Charter School. Belmont continued to grow and is now part of Belmont Charter Network of Schools. Karen now serves as the Network Special Education Director. Karen loves her job, the students and teachers she serves, and the people with whom she works. Jason has been a part of the BCN family since 2005. He originally joined the team as a technology teacher and eventually transitioned to a role as Technology Director. Jason now oversees Facilities and Information Technology for all of Belmont. A proud Temple University grad, Jason holds a Master’s degree in Educational Leadership. Prior to joining Belmont, he served in the Peace Corps as an environmental education volunteer stationed in the African nation of Gabon. When he’s not hard at work ensuring the seamless operations of BCN, Jason loves to garden, travel, and spend time with his human and canine family members. Michael Karp began his career as a real estate investor who bought, renovated and retained, for long term investment, apartment houses and commercial buildings in southeastern Pennsylvania. His company, University City Housing Company (‘UCH’), owns and manages 4,000 apartment units. The portfolio consists of mostly suburban mid-rise buildings and includes 1,300 beds in University City and 300,000 square feet of commercial space. Karp has performed rebuild and gut renovation projects along with commercial tenant fit outs exceeding one million square feet. His construction lending subsidiary has financed and selectively partnered in over $1 billion of loans since 1995, many involving zoning and land use changes. In addition to Karp’s real estate pursuits he has over 25 years of experience in the telecommunications and mortgage industry. He operates a fiber (FTTH) based telecommunications company that provides IP television, high speed internet, digital telephone and security on its own fiber network to 70,000 customers in residential and commercial buildings, primarily in Florida. Gateway Funding is Karp’s residential mortgage company that is licensed in 40 states with its primary business centered in the mid-Atlantic region. It closed over $2 billion of loans in 2012 and 2013. Karp’s philanthropic focus is on education and creating a model to break the poverty cycle for at-risk children in the Mantua and Belmont neighborhoods; which are two extremely low-income, high crime communities in West Philadelphia. 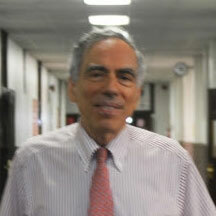 Karp is the Founder and Chairman of Belmont Academy and Belmont Elementary Charter Schools, serving 700 students in PreK-8th grade, as well as the Community Education Alliance of West Philadelphia (‘CEAWP’). CEAWP provides summer and after-school programs, social services, emotional support and parent education to families with young children in the Belmont area. Karp is also very active in public affairs. He is the Vice Chairman of the state agency which oversees the finances of the City of Philadelphia, the Pennsylvania Intergovernmental Cooperation Authority (‘PICA’). He is also a founding member of the seven person Commonwealth Finance Authority (‘CFA’) which approves several hundred million dollars a year in loans and grants for diverse state economic development projects.